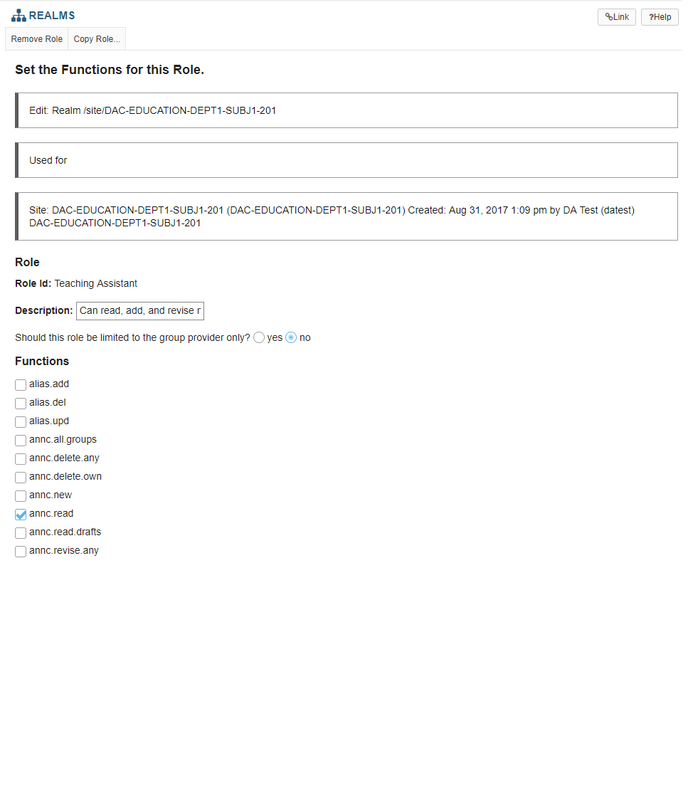 Sakai Community DocumentationSakai 12 Administrator Guide (English) RealmsHow do I modify an existing role within a Realm? 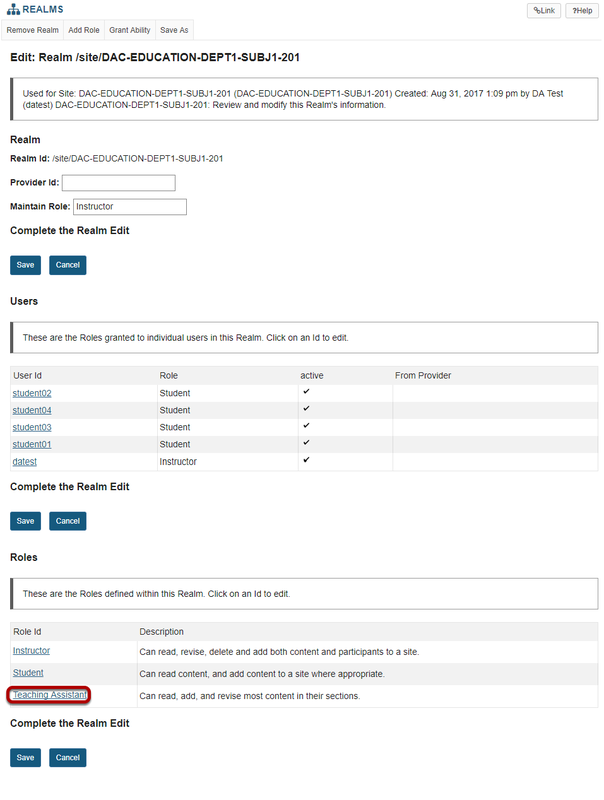 Prev: How do I search Realms? 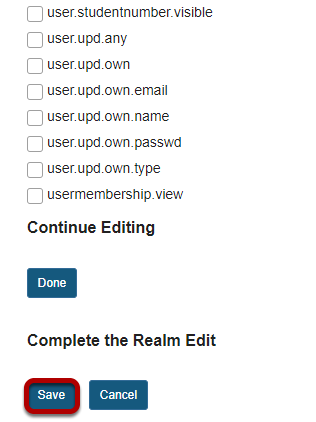 Next: How do I create a new, or custom role within a Realm?